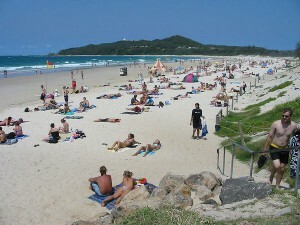 If you are planning a trip to beachside town in Australia, then Byron Bay is your destination. The town was named after John Byron, the poet, Lord Byron’s grandfather. There are plenty of beaches for the visitor who is interested in surfing. 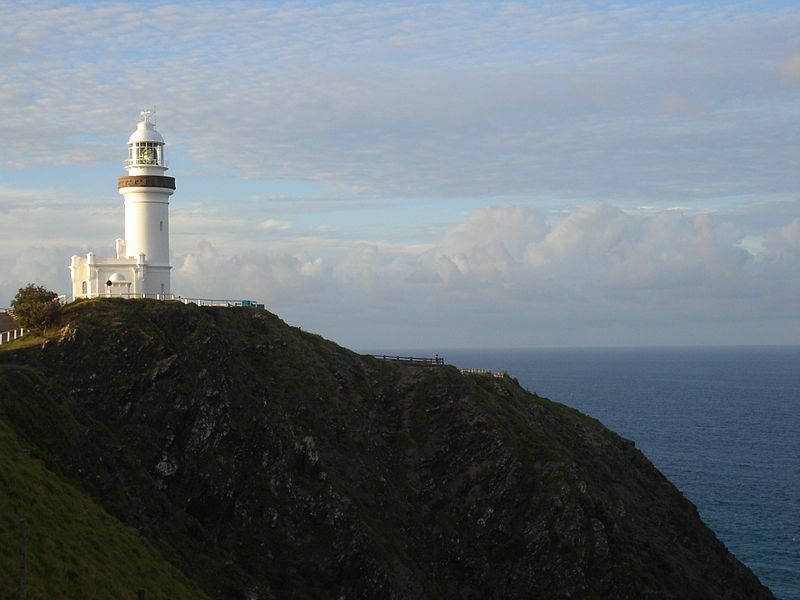 • Byron Bay Lighthouse – Begin your trip with a visit to the Byron Bay lighthouse, which was constructed in 1901. For over a century, the lighthouse served as a signal to passing ships, warning them of the coast’s dangers. If you take an early morning walk on the beach, you will see that as the sun rises, the color of the lighthouse turns pink. 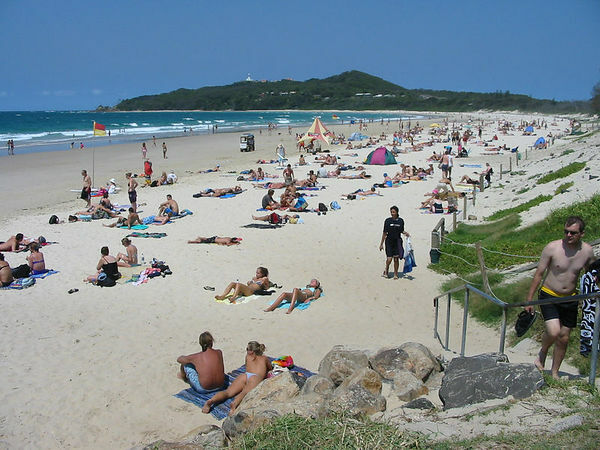 • Julian Rocks – About 2.5kms from Byron Bay are a pair of islands known as Julian Rocks. When Captain Cook passed the area in 1770, he saw two peaks and named them after his nephew and niece, Julian and Julia. The surrounding area is now a marine reserve and you cannot fish there. The waters surrounding the area contain grey nurse shark, leopard sharks, nudibranchs and wobbegong. If you are visiting between May and September, then you will be fortunate enough to spot the humpback whales travelling between the mainland and the rocks. • Waterfalls and Rivers – There are three main rivers at Byron Bay that you must not miss – Tweed River, Richmond River and Clarence River. Along the rivers and the creeks lie many waterfalls but the most spectacular one is the Minyon Falls, situated in Nightcap National Park. Two other waterfalls are Protestor Falls and Killen Falls. • Nightcap National Park – This national park lies towards the west of Byron Bay. It is an amazingly beautiful park that contains ancient rainforests, spectacular waterfalls and amazing views. The rainforest is also home to the nightcap oak that has been recently discovered. In addition, you will be able to spot some threatened species such as Fleay’s barred frog and Albert’s lyrebird. If you hear the sound ‘ok-okok-ok’, then look under the litter of leaves and you will surely find Fleay’s barred frog. You can also camp overnight in the park’s escarpments. Another attraction of the park is the Wollumbin shield volcano that is 20 million years old. Don’t miss out on popular Australian activities like gliding, kayaking, surfing, ballooning, hang gliding and others. What you need is a car hire to take you through the town. Also, you can shop for home wares, jewelry, hats, books, crystals, etc. to your heart’s content. You can take a bus tour but then, the tour will take you only to popular tourist spots and you will have to stick to the time of the coach. 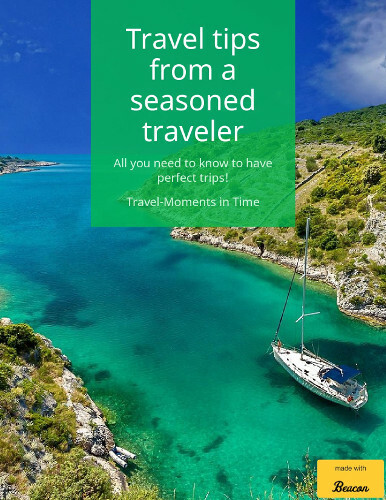 With car hire, you can set your own pace and have your own itinerary, changing it along the way. listen news on TV, so I simply use internet for that purpose, and obtain the most recent information. default arrears, skipping of installments as well as the rest. I absolutely love your site.. Great colors & theme. Did you build this amazing site yourself? Please reply back as I’m hoping to create my own personal site and want to find out where you got this from or just what the theme is named. Many thanks! I just want to say I am just all new to blogging and site-building and definitely loved you’re web blog. Likely I’m going to bookmark your site . You actually come with perfect articles. Regards for sharing with us your website page. CenterPoint Energy had about 6,900 businesses and homes still without electricity this afternoon as crews worked to recover power. Nearly 45,000 customers had lost electricity Saturday night. I just want to tell you that I am all new to blogging and truly loved your blog. Most likely I’m planning to bookmark your site . You surely come with really good articles. Cheers for revealing your blog. I seriously love your blog.. Very nice colors & theme. Did you make this amazing site yourself? Please reply back as I’m looking to create my very own website and want to know where you got this from or just what the theme is named. Appreciate it! I have a large B&D collection I’m tying to sell on Ebay with no luck so far. Is there anywhere else I can list it?